Watch our CHALKBOARD for news and updates. See links above for more information. Snow Schedule! We do not follow school schedule. Call! Note: We will send email alerts if we are closed. Register or Sign up for class NOW for next sessions. For Signup, Rates, and Schedules -- See link above. See other links above Photos, Handbook, and more. 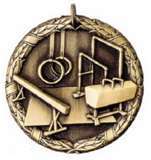 Gymnastics provides a building block that can be used in all sports and life in general. is committed to providing quality gymnastics instruction using positive reinforcement to enhance each child’s confidence and self-esteem. It is our goal for each child to grow in self-esteem while learning Gymnastics in a fun and safe environment.